Some topics are difficult to properly teach to students, mainly because of their complexity. DNA, which is otherwise known as deoxyribonucleic acid, is one of those complex topics, and while it is actually quite interesting and important to know about, communicating that to a student still in elementary school is not the easiest thing to do. Don’t give up on properly conveying the important things to know about DNA however, because it can be done. Listed below are some simple and easy-to-follow tips that will ensure that even a topic as challenging to fully grasp as DNA will be understood by elementary school students. According to Science Daily, DNA “is a nucleic acid that contains the genetic instructions for the development and function of living things.” As far as definitions of DNA go, the one provided by Science Daily is actually quite concise and easy to understand, but still, some of the younger elementary school students may not comprehend it completely. This is where the teacher has to step in and simplify the way in which DNA is defined. 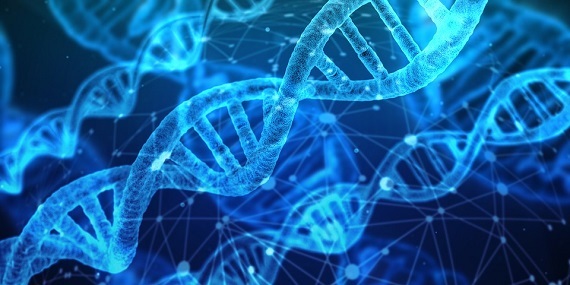 Instead of going with the scientific definition of DNA, a teacher can opt to share with the students one of the popular terms used to describe it. It may be a bit of a challenge to convey to a student what nucleic acid is, but it’s not as hard to tell them about what a blueprint is and how it is comparable to DNA. Nucleic acid may be tough for them to visualize, but a blueprint is not. Although DNA is a substance abundant in the body, it still carries a certain abstract quality because it isn’t something that can be seen without the aid of a special microscope of some kind. Young kids will become more interested in something if they can see a visual representation of it, so how can a teacher find a way to show students DNA without bringing in a special microscope? As noted earlier, DNA is often compared to a blueprint, so why not bring that into the classroom. Obviously, there’s no actual blueprint depicting how a specific human body should be built, but the teacher can still come in with a blueprint for a building, show that it contains instructions for designing the structure and then explain how DNA does the same thing except that it does so for people’s bodies. One of the most interesting features of DNA is its structure. The double helix model is quite eye-catching and something closely associated to DNA, so why not make use of it as a teaching aid. There are a few ways for teachers to go about doing that. The first way is to borrow a model of DNA showing off its double helix structure. Again, younger students may tend to rely on their sight to learn more about something, so by entering the classroom with a model depicting what DNA looks like, chances are many of them will immediately perk up and become more interested in hearing more about this unusual object teacher just brought in. Alternatively, teachers can also show kids the double helix structure of DNA and then ask them to create their own models. An article from Red Tricycle suggests allowing kids to use items like candy, grapes, toothpicks, pipe cleaners, and even Lego bricks to create their DNA structures. Just be sure to supervise them of course. By doing those things, kids will develop a greater level of familiarity with DNA and perhaps become more invested in hearing about it. Many kids are eager to share more about themselves, so take advantage of that trait and get them talking about things related to DNA. Ask them about some unique things they only see in themselves and their families and then explain how DNA is responsible for that. By relating DNA to them and the people close to them, students will naturally want to learn more about how they have become who they are now. Games are fun, and many kids are always up for one. Teachers can make a game or a contest out of who can create the best double helix DNA structure and then reward bonus points depending on how well the student explains what they have just built. There are also matching games that can come from pairing up the chemical bases adenine, guanine, cytosine, and thymine that are all related to the topic of DNA. Those are just some of the ways for teachers to make DNA a more interesting topic for their elementary school students. For those teachers struggling with that topic now, they can try out the tips above and see how well they work inside their classrooms. Abby Drexler is a contributing writer and media specialist for Genetics Digest. She regularly produces content for a variety of science and education blogs about the wonders of genetics and DNA.